New York City based artist Yvette Cohen was born in Cairo, Egypt and grew up in Paris and Montreal. In her art, Cohen seeks to create a balance of calm and intrigue. Her Ara Pacis Series (from the Latin meaning ‘altar to peace’) consists of richly colored oil paintings on shaped canvases with wood dowels. They appear three-dimensional, but in reality mount flat to the wall and sometimes floor. 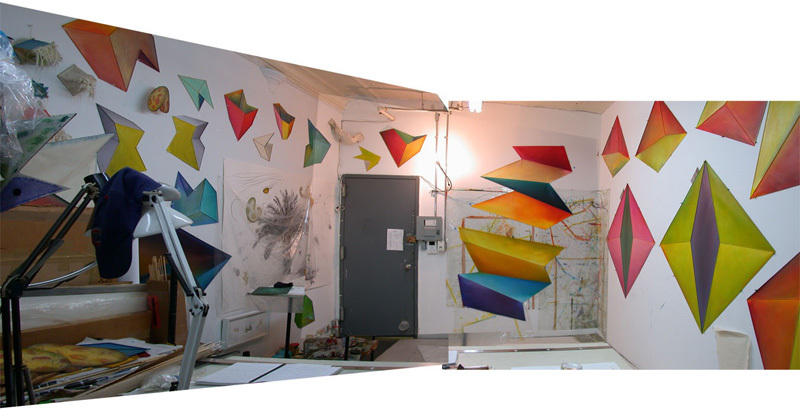 It’s amazing how the illusion of depth is created through her use of geometric shapes and painting technique. 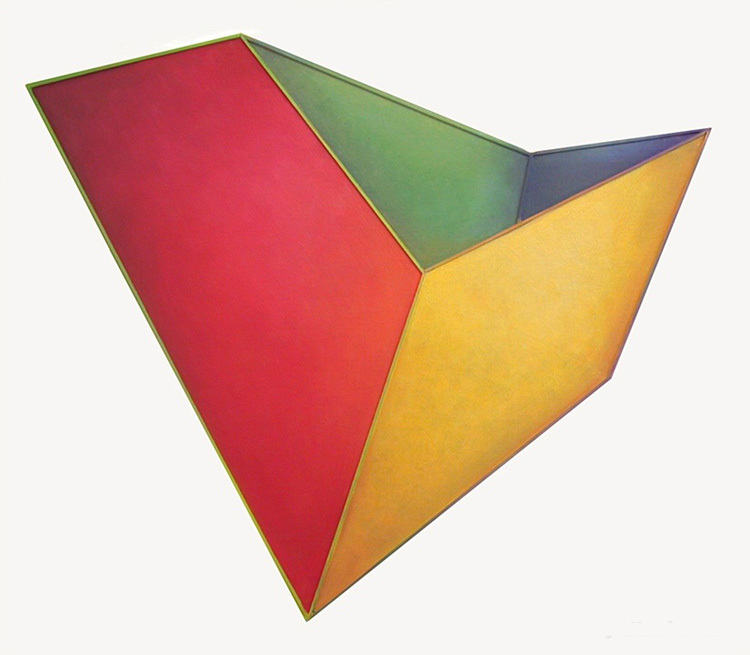 Groupings of two, three or more of these oil paintings seemingly defy gravity and appear to exist in a boundless space, activating entire walls. Hence the name of Cohen’s upcoming exhibit in NYC: Defying Gravity. 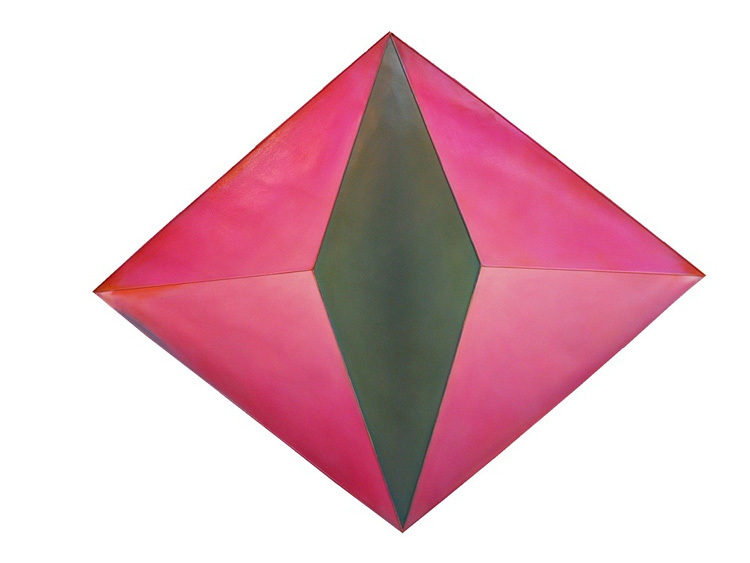 Defying Gravity: Sculptural Paintings will be shown at Cassina in Soho (151 Wooster Street) from November 8 to December 20, 2011. If you can’t make it to the exhibit, be sure to check out the rest of Yvette Cohen’s work on her website. This entry was posted in Art, Event, NYC, Stuff We Like. Bookmark the permalink.